Donit® Gasket Sheets produce high quality gasket sheets, certified by recognised industry standards. At Donit®Gasket Sheets, we are focused on innovation and superior customer knowledge, while providing continually reliable and optimal solutions based upon excellent application engineering. 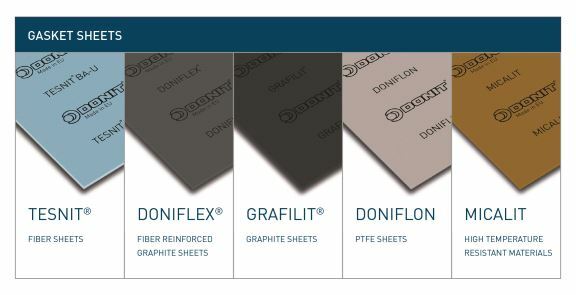 We have segregated our products into 5 main product brands Tesnit®, Doniflex®, Grafilit®, Doniflon and Micalit. Furthermore, each of these five brands will be subdivided as required to help separate and define different product types clearly.